A whole one-meter longer then the standard version. Bentley unveiled the Mulsanne Grand Limousine reformed by the in-house coach building division Mulliner, at the 2016 Geneva Motor Show. The motive behind the transformation was to improve the luxury quotient of the vehicle with visual and mechanical alterations. The limousine has been stretched a full meter and now sits 79 mm taller then the standard version. This has helped convert the rear cabin to an aviation-style seating configuration for the rear passengers. The rear now holds four seats of equal comfort and luxury, two of which are rear-facing to allow face-to-face conversations. 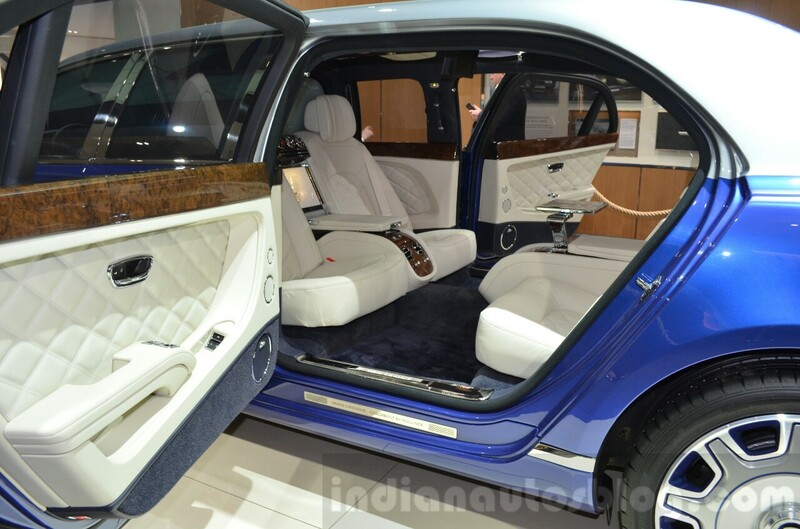 Adding to the luxury, the roof bow gets wood veneer and there's sumptuous use of leather all around the cabin. 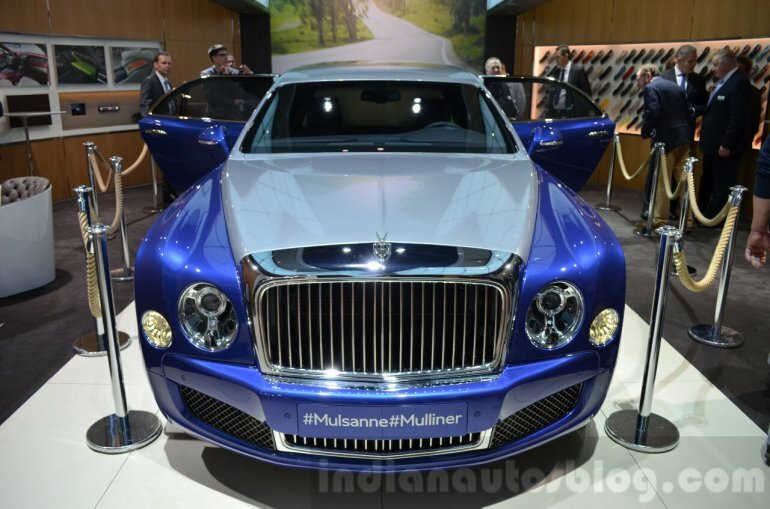 The HVAC system has been developed solely by Mulliner with focus on the rear cabin. Furthermore the rear cabin gets iPad charging docks, veneered fold out tables, bottle cooler with frosted glass and crystal flutes an a soft drink cabinet with bespoke tumblers. The rear cabin also features an intercom system to communicate with the driver. Separating the cabins is a privacy glass that, along with the rear side windows, has an eletrochromic "Smart Glass" that changes from opaque to clear with the push of a button. On the outside, the increased length and height is evident and with an array of customization like 'Coachbuilt by Mulliner' engraved on the flying B 'Mascot', the chrome grille and bumper grilles are designed specifically for this car. The unique 21-inch wheels are color-matched to the exterior finish. The engine, chassis and the suspension have been modified in accordance to the enhanced dimensions.